Quality Gardens offers a guarantee on certain plant material for a replacement plant or store credit. We cannot offer a guarantee on plant material without a sales receipt. This is a one-time replacement only and the replacement plants will not carry a guarantee. Please refer to specific plant guarantees below. Plants must be given sufficient light, water, and suitable soil conditions. If your plant starts to appear unhealthy, please bring a sample to our staff for analysis and recommendations. If the plant is brought back for a refund and still has live buds and green tissue, we will be unable to offer a refund. Quality Gardens is not responsible for plants affected by extreme natural conditions (such as floods, ice, drought, etc.) or neglect by the customer. 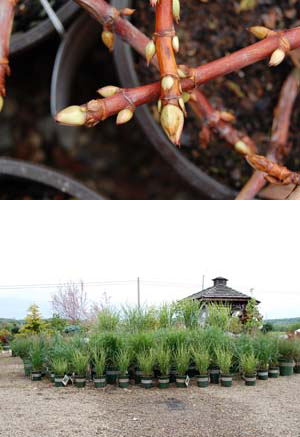 Trees & Shrubs: For up to one year from the date on the original sales receipt, 100% store credit or replacement will be given. If the Quality Gardens professional staff planted the trees and shrubs, there will be a one-year guarantee on the plants and we will plant your replacement plant free of charge. No guarantee will be given on trees and shrubs planted in a container, left in the original container, or those damaged by mechanical injury. Roses & Ground Covers: For up to 30 days from the date on the original sales receipt, 100% store credit or replacement will be given. No guarantee will be given on plants left in the original containers. Perennials: For up to 90 days from the date on the original sales receipt, 100% store credit or replacement will be given. No guarantee will be given on plants left in the original containers. We are unable to offer a guarantee on the following items: Annuals, bonsai, pond plants, live balled Christmas trees, cut Christmas trees and evergreens bought in December. *All Sale/Discounted Items are considered Final Sale and no guarantee or returns will be offered.